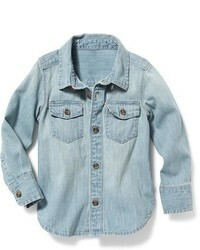 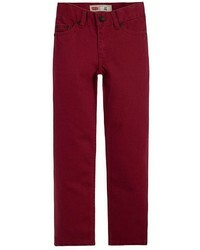 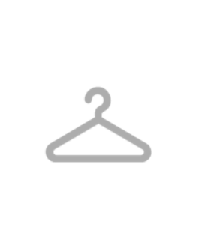 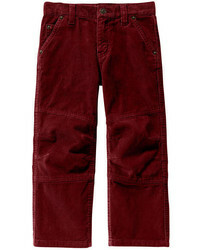 Your little angel will look extra cute in a dark brown denim jacket and burgundy jeans. 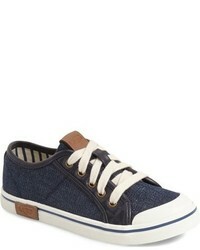 Navy sneakers are a smart choice to finish this outfit. 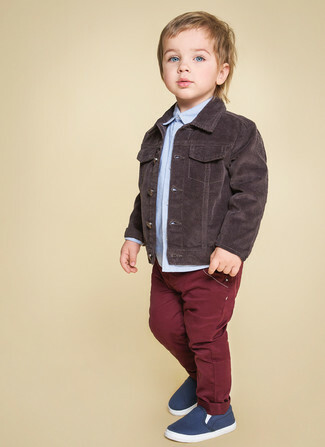 Suggest that your little one team a dark brown denim jacket with a light blue long sleeve shirt to create a smart casual look. 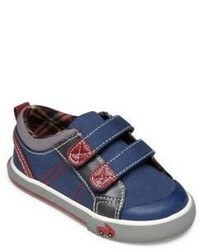 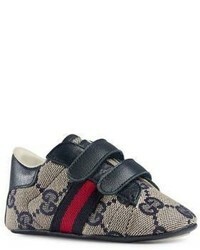 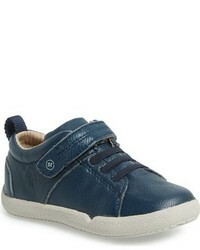 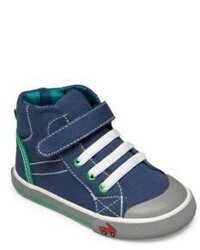 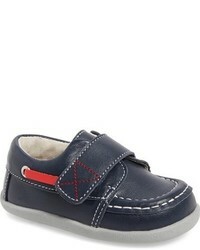 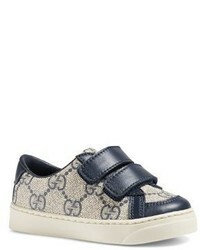 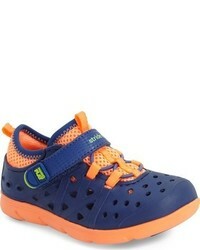 As far as footwear is concerned, suggest that your child go for a pair of navy sneakers. 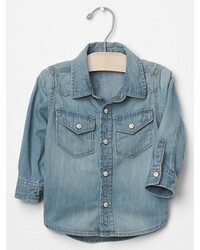 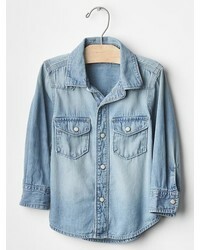 Suggest that your tot go for a dark brown denim jacket and a light blue long sleeve shirt for an easy to wear, everyday look. 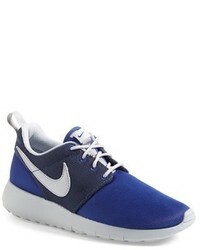 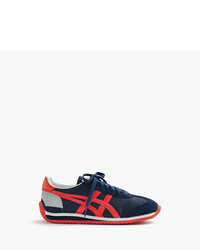 As far as footwear is concerned, suggest that your boy go for a pair of navy sneakers. 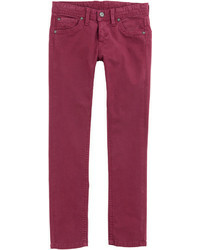 For an everyday outfit that is full of character and personality suggest that your darling reach for a light blue long sleeve shirt and burgundy jeans. 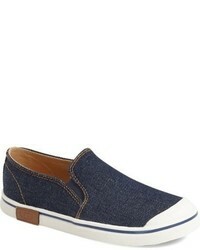 This getup is complemented really well with navy sneakers. 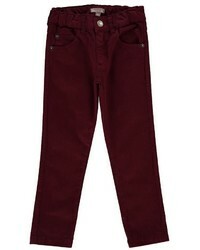 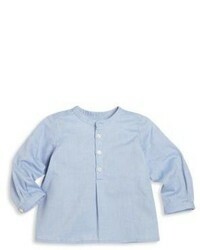 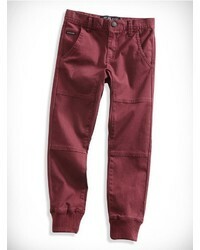 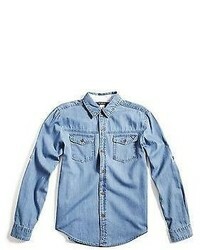 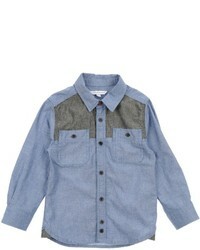 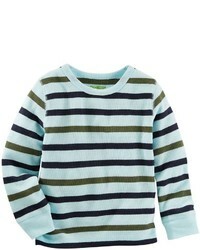 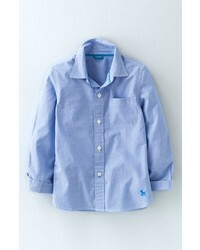 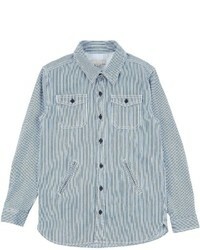 Consider dressing your little guy in a light blue long sleeve shirt with burgundy jeans to create a smart casual look. 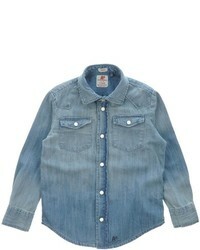 This outfit is complemented brilliantly with navy sneakers.